Another view on Bridge Street looking east from the traffic light at Seward Ave. 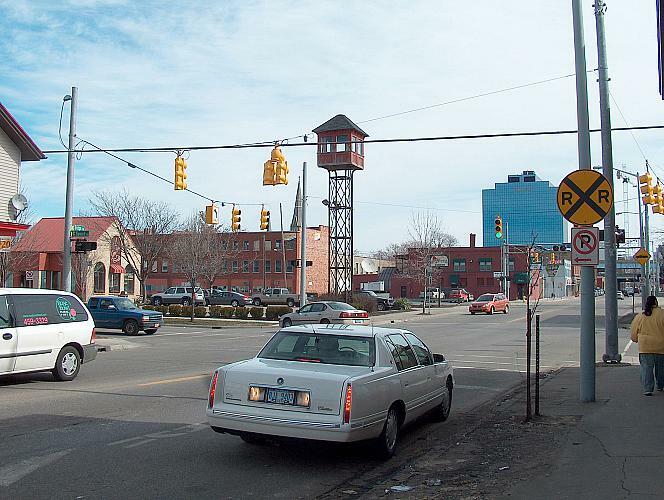 The railroad tower that sits high above the surrounding buildings has been located at the railroad crossing between Seward and Alabama for many decades. Bridgewater Place, the tall blue building in the distance sits on the west bank of the Grand River. View additional information about these subjects on our Furniture City History site.